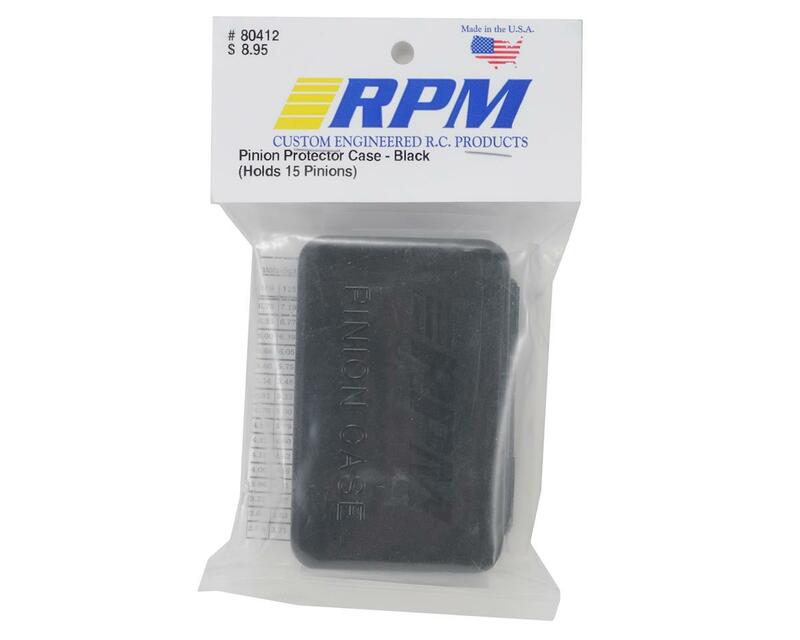 This is a Pinion Gear storage case from RPM. RPM's pinion gear case includes a peel-off decal sheet with two handy pinion to spur gear ratio charts for both 48- and 64-pitch gears. Have used this pinion case for a couple of years. 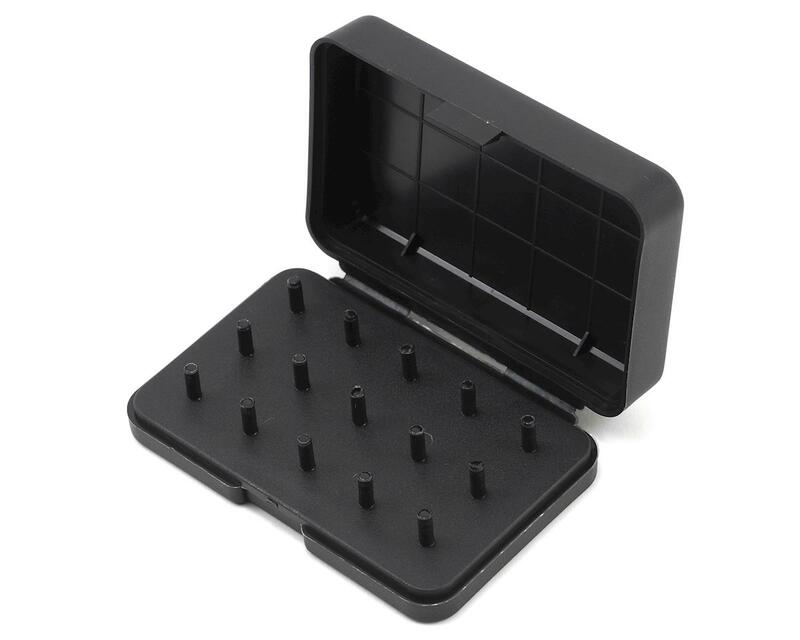 The case holds 15 pinions IF you use small pinion gears. With the bigger pinions(25+) you will not be able to hold as many. The posts are somewhat brittle if you aren't careful or if it the temp is cold. I've broken one post when I wasn't paying attention. If you are careful you will not have any problems, but who is careful all the time? The case should be bigger or the posts should be spaced farther apart. The plastic also needs to be less brittle. You will have to buy another if you use it long enough. If you can get a metal one, you might want to. Up to you if you use it often or don't mind buying replacements. I personally like to buy once, so I tend to buy expensive. Writing a review since I'm purchasing one from another brand. 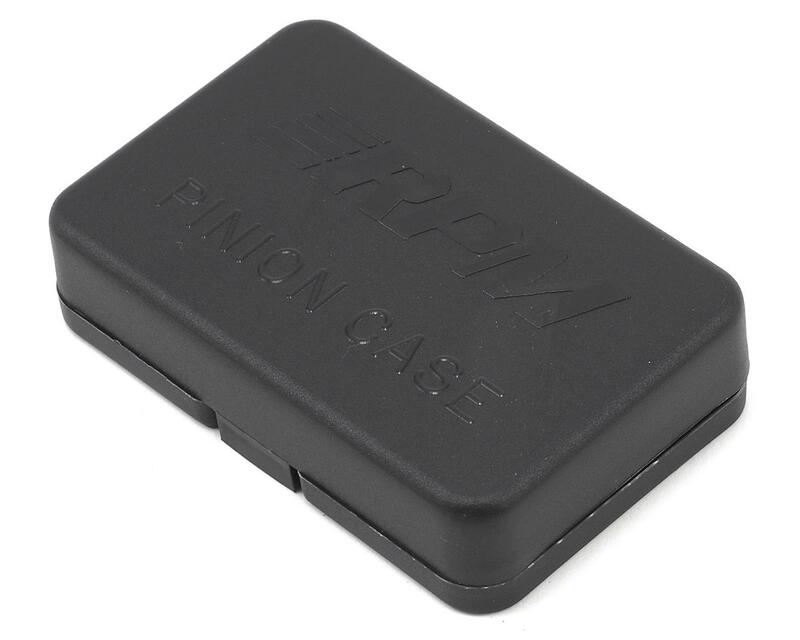 The pinion case is a nice idea, unfortunately the plastic pins broke away easily. I can't recommend.